What a result! 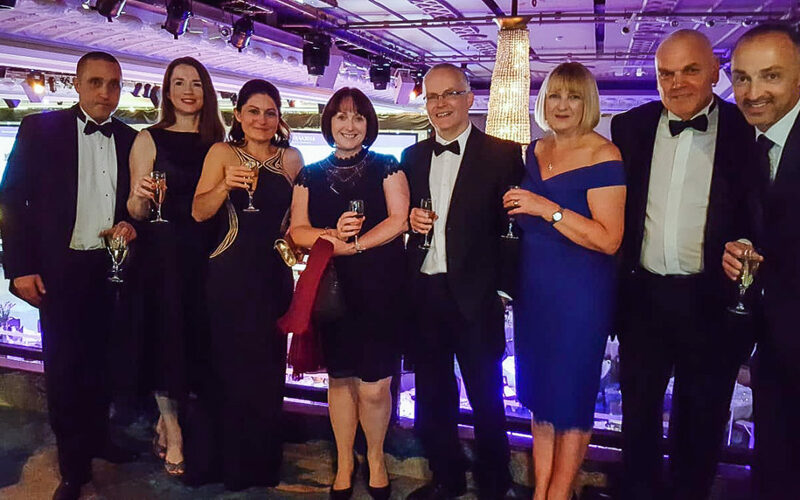 We’re delighted to report that we came away from the British Accountancy Awards with a Highly Commended award after being shortlisted in the Independent Firm of the Year – Wales and Midlands category. Hosted by Mock the Week star Josh Widdicombe at London’s Grosvenor House Hotel (September 26) the British Accountancy Awards highlight professional development and celebrate firms that have demonstrated excellence in accounting and finance. It’s the first time we’ve entered the Awards so we’re thrilled to get such a great result and, what’s more, we came so close to winning! In making its final decision the judging panel was split and so acknowledged our ability to deliver customised support to businesses of all shapes and sizes with a Highly Commended accolade. Howards was one of only three of the 123 nominees, across all 23 categories, to receive this special recognition. Matthew Bailey, managing director at Howards, said: “I’m so proud of the team. This achievement is down to their sheer hard work and commitment to providing our clients with the support they need to make a success of their businesses. “My co-director Ryan Hudson and I would also like to thank our wives, Louisa Bailey and Jane Hudson, for their continued support over the past few years.